Christmas is nearly here! With all the holiday parties, cooke exchanges and family time coming up, I put together an all encompassing 2-week list of some of my favorite appetizers, side dishes, mains (including Vegetarian & Feast of 7 Fishes), and desserts! There’s a whole lot of yumminess coming your way! And, I’ll be live on Instastories Christmas Eve, Christmas Day and Boxing Day (Day after Christmas) making some extra special treats and perhaps even a festive cocktail. You can watch it live here. And as always, I’ll be sharing how I cook all of the Christmas Countdown food there as well! 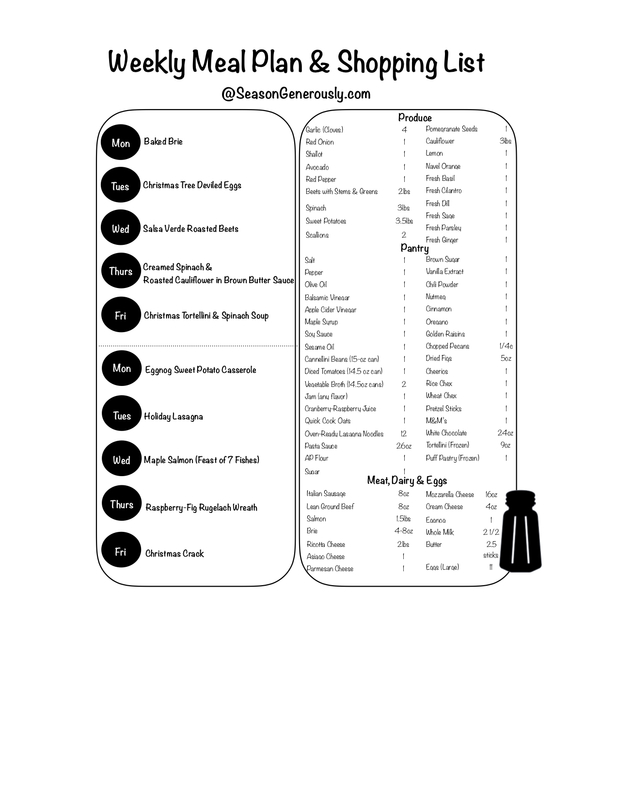 Click here for the meal plan and shopping list or the picture below!